KATHMANDU, Jan 9: The Commission for Investigation of Abuse of Authority (CIAA) has filed a case of corruption against former Director General of Department of Transport Management, Chandraman Shrestha, at the Special Court. Shrestha is now joint-secretary at the Ministry of Forest and Environment. According to CIAA, Shrestha was found amassing property worth Rs 13.45 million illegally by misusing his post and authority while in public service. 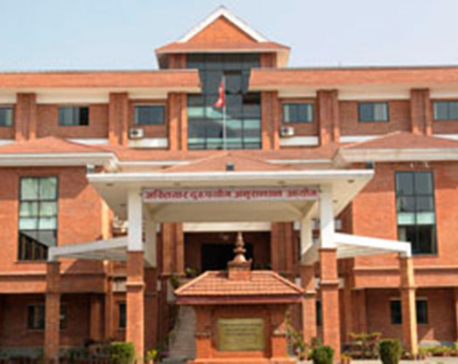 In the case, the CIAA has also filed charges against Shrestha's spouse, Jamuna Tandukar, and Bhagawati Yogi of Nawalparasi after property without any legal source was also found in their name.